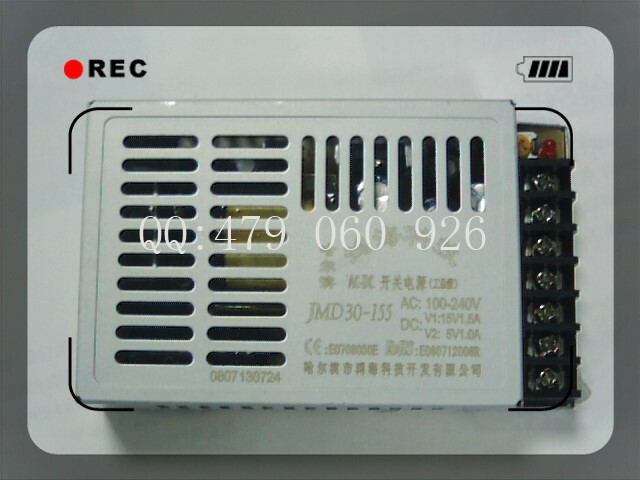 Using a new German origin Block 2000VA annular isolated cattle extra thick aluminum alloy shell, reinforced shield and fixed fuselage, minimize EMI/RF and other radio interference. 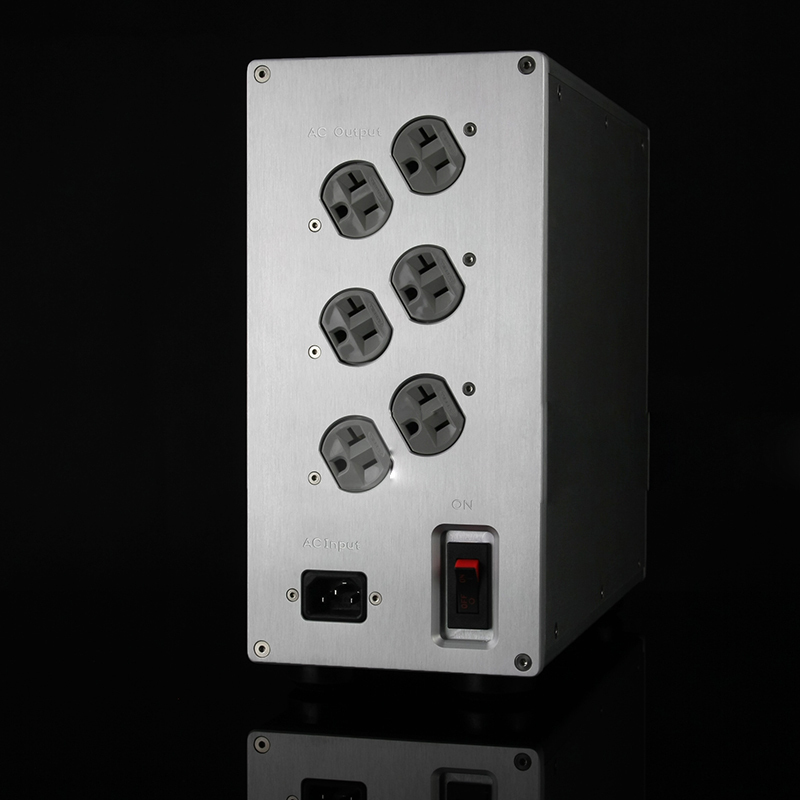 Use three new American Hubbell sockets, British Pirelli HiFi high current lead.The output stage adopts the balanced super linear connection method. 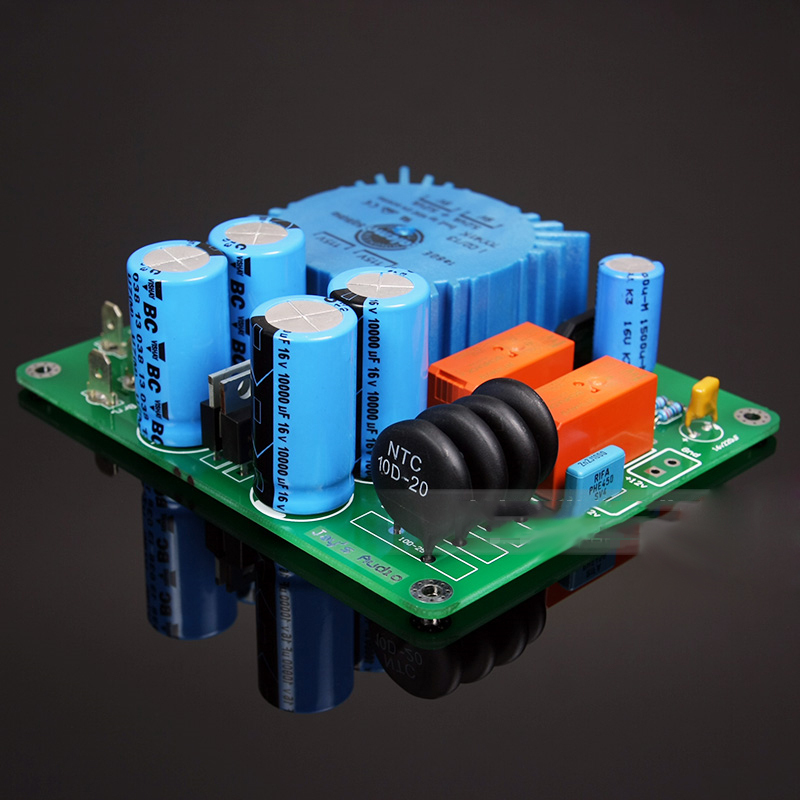 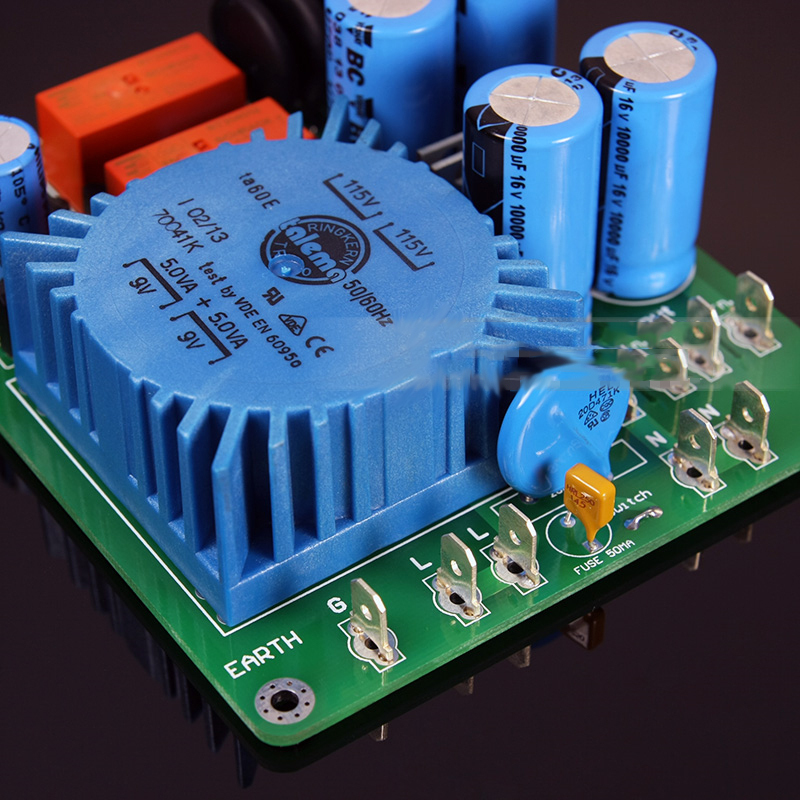 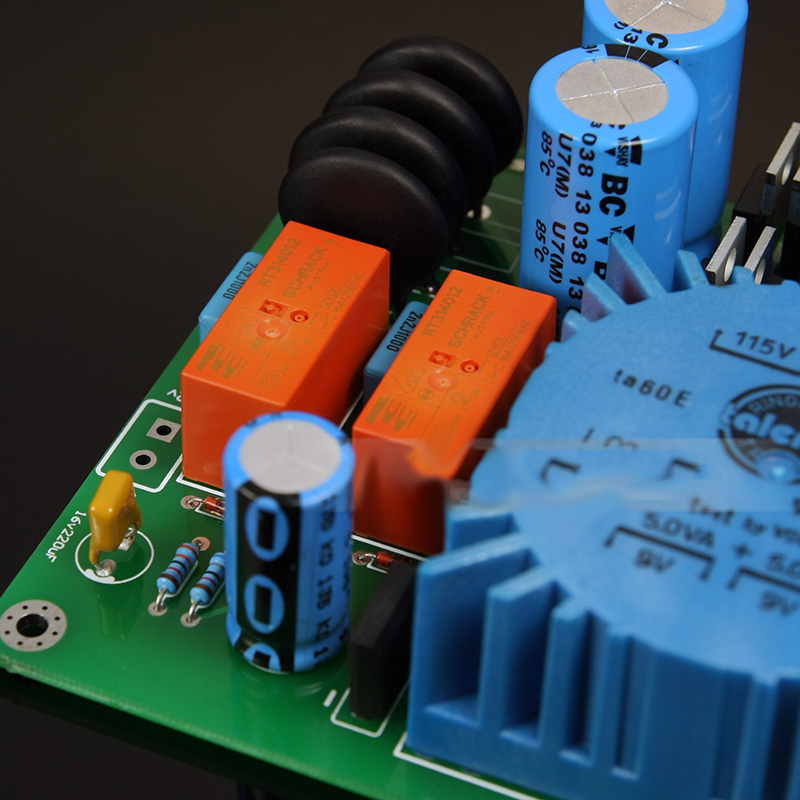 AC noise can be counteracted effectively by positive and negative phase.Unique multifunctional intelligent power supply processing board can effectively relieve the current shock, and isolate the DC component in AC power supply. 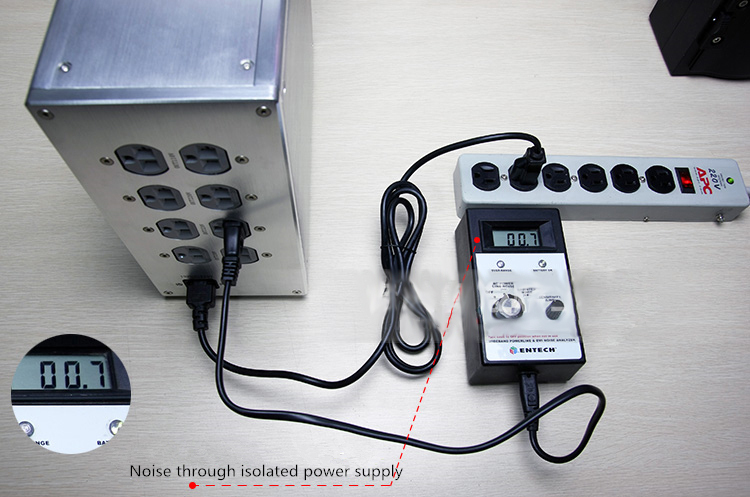 Introduction: US original 15A air switch, Blue precision digital AC voltage meter. 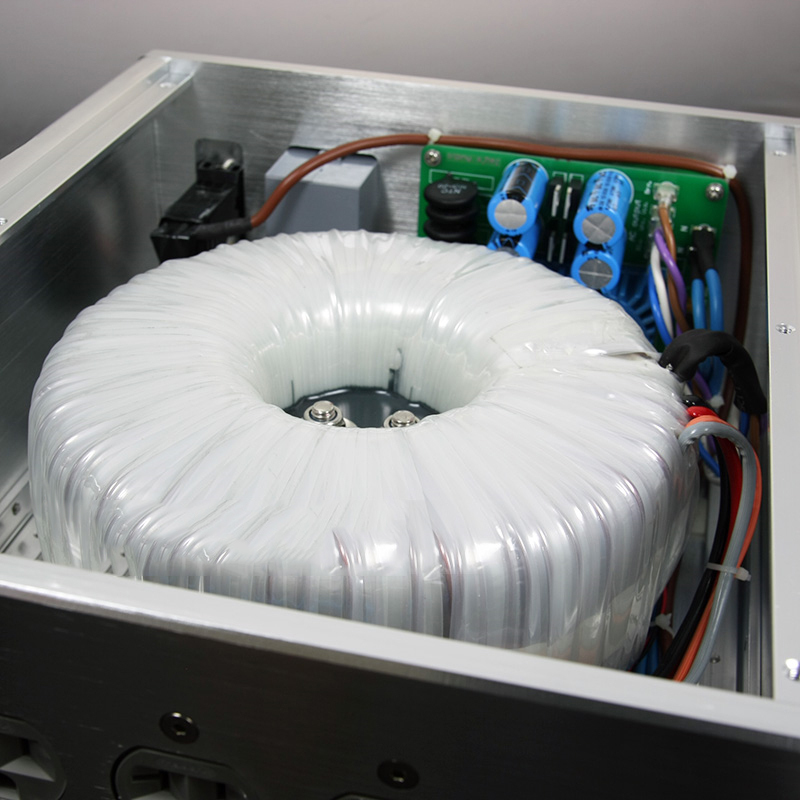 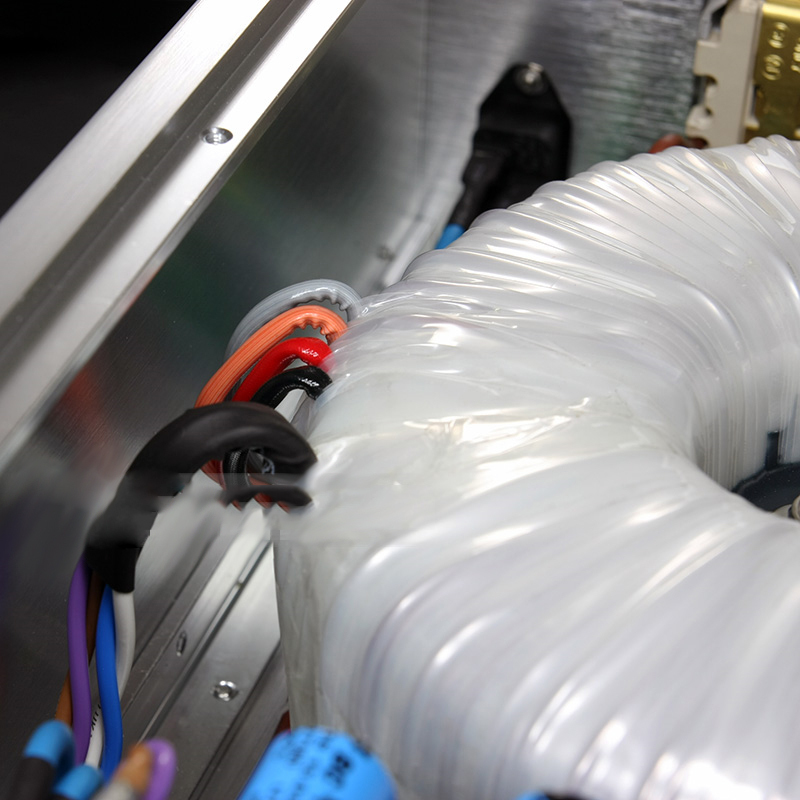 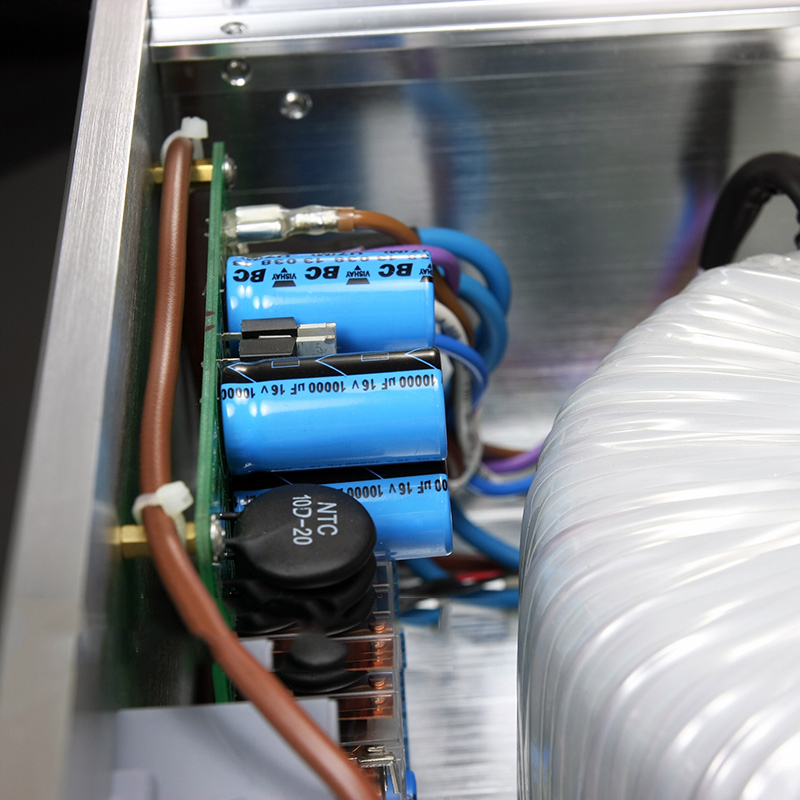 Its principle is quite simple,through the ultra linear balanced toroidal transformer that is customized specially by manufactor, the input 230V AC power supply is divided into two opposite phase 115V voltages(At a certain moment,one is +115V,the other is -115V,thus resulting 230V voltage difference),then merge again.But the noise in it will disappear due to phase cancellation,as far as the voltage is still the original 230 volts. 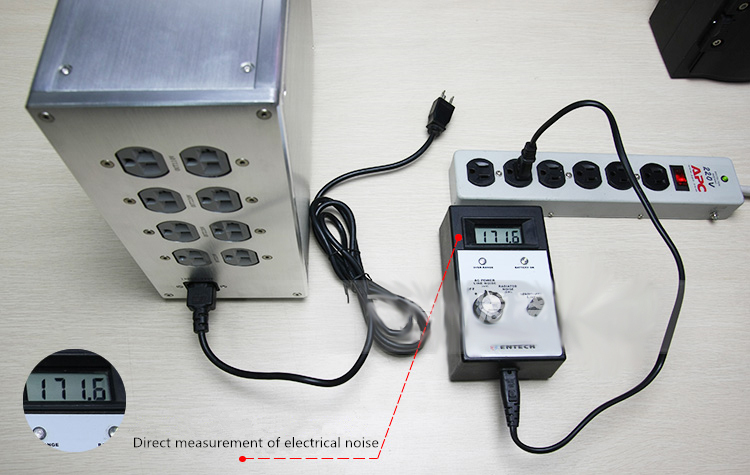 The theory of using the characteristics of the waveform to filter the power supply,makes the voltage waveform acquire the natural symmetry. 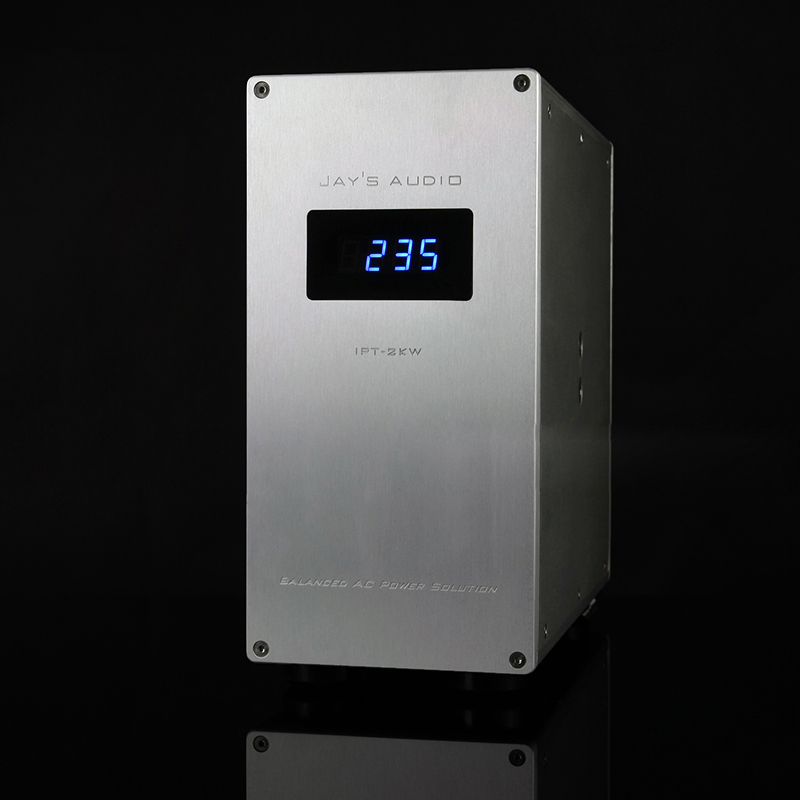 In the actual process of listening, sound field becomes stable, more sound cordial, more detailed texture.The most obvious improvements are adding a lot of details and overtones and a dark sense of peace.What we can feel is more pure voice,music is more cohesive.